You will alter a pattern*, cut and sew a muslin, fit, and transfer alterations back to the pattern for a custom fitted garment in 3 sessions. Email Ryliss at ryliss@comcast.net or message her through Instagram to set up times. Total length is based on 4 hours. * This is really important - upper body patterns should be sized by the bust measurement. lower body patterns should be sized by the hip measurement. Commercial patterns (Simplcity, Vogue, McCalls, Kwik Sew, Butterick, Burda, New Look) are easier to use, all of the information is printed on them for alterations and they have seam allowances. If you choose an independent pattern, be prepared to make more than one muslin. Many independent patterns do not have the apex or the waistline marked, and some have no seam allowances. 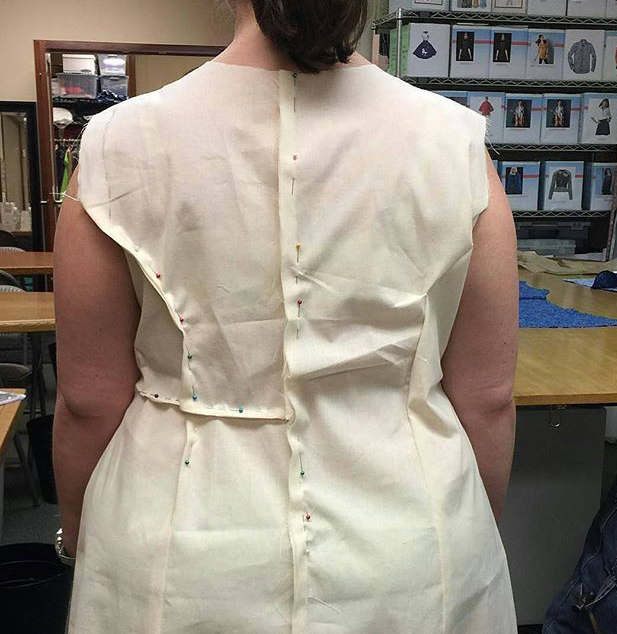 If you use a CAD program to make your pattern, your body measurements need to be accurate. If you plan to alter a pant pattern, be prepared to make several muslins. Tape, drafting rulers, tape measure. Patterns, muslin for projects, sewing tools and the ability to sew the muslin between sessions.